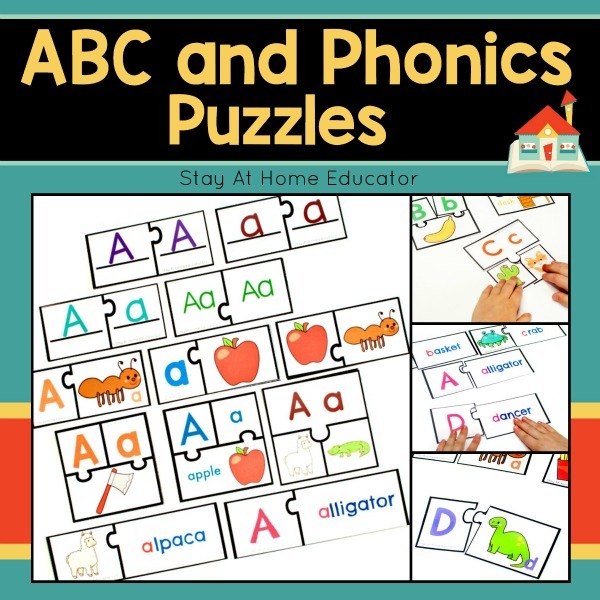 One of the best ways for preschoolers to learn their letters is through hands-on alphabet activities. Hands-on activities help enforce any concept, and little ones love learning using things they can touch, feel, and even smell. Hands-on activities can even have some of the same benefits of sensory activities! I think we all try to incorporate as many hands-on preschool activities as possible, but I have one question for you. When doing our lesson planning, why are we always looking for something hands-on? Why is it we are always looking for more ways for our preschoolers to move? Let me help you answer that for you…because hands-on activities are the better practice than poking a tablet or scratching at a worksheet. 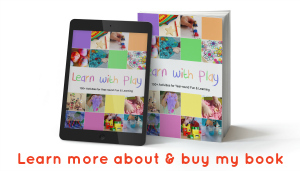 This is not to say there is absolutely no place for either of those in a preschool learning environment, but when it comes to best learning activities for preschoolers, it is always, always hands-on activities. And here is the reason why hands-on alphabet activities are so effective…they allow the learner to engage multiple senses. You can read more about that here. Hands-on learning activities allow children to engage by touching, moving, listening, and talking. This activates multiple areas of the brain for reinforced learning. Kids can even reinforce what they’ve learned by demonstrating their work to their classmates. Plus, hands-on activities encourage children to polish their fine motor skills, follow directions, and become self-motivated learners. So it only makes sense that when it comes to teaching preschoolers the alphabet, hands-on alphabet activities are always the best choice! 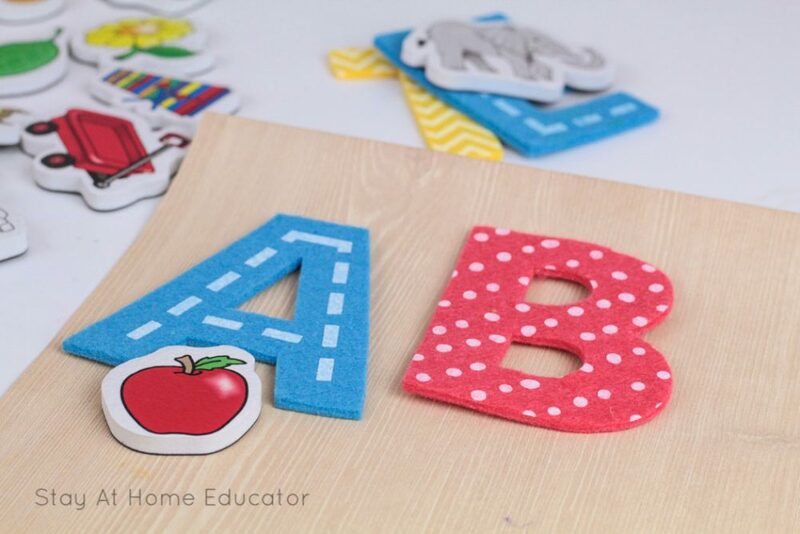 Be sure to read to the end of this post to get over 12 super fun, hands-on alphabet activities your preschoolers will love! 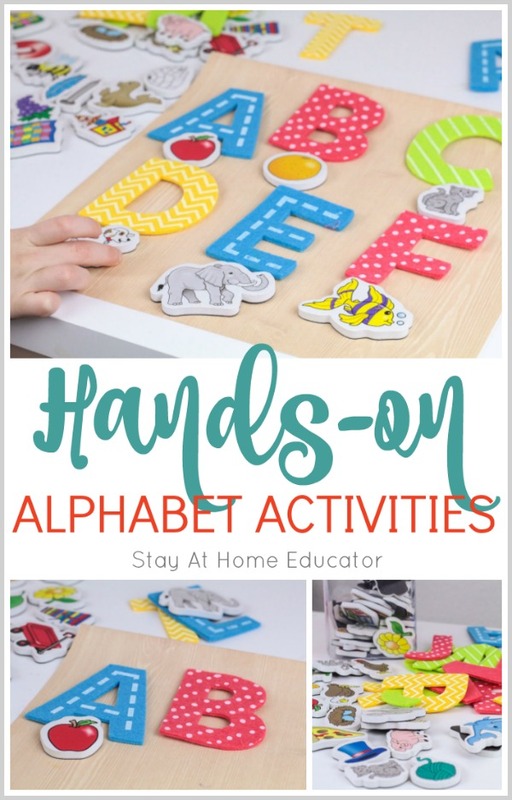 These hands-on alphabet activities can be done during guided lessons or place the materials together to make a fun activity for literacy centers. 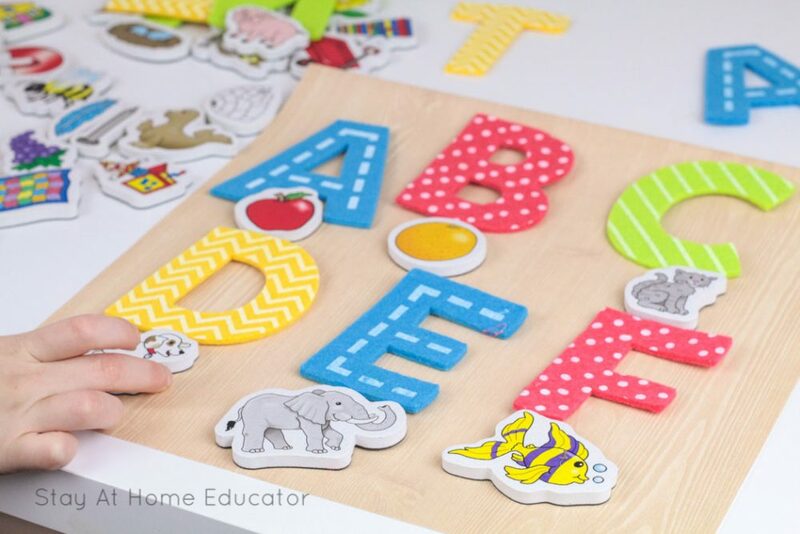 Recently I picked up a set of colorful foam magnets displaying a variety of objects beginning with every letter of the alphabet, and they are perfect for practice in initial sound matching. My preschoolers love them, and I love to use them during our letter lessons. And did I mention they are magnets? That makes them extra fun! 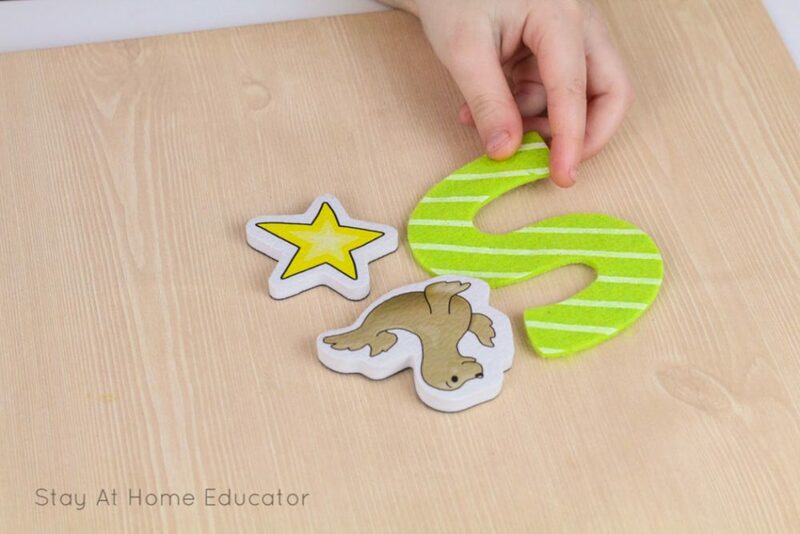 Oh…and at the end of this post you’ll get a handful of other alphabet activities using these foam magnets! This activity is so simple there literally is no prep time if you have the materials on hand. I pulled out our set of magnetic letters and asked the class to first sort the upper from the lower-case letters. If your preschoolers are more advanced, you can use both upper-case and lower-case letters, but many preschoolers get confused with too many letter choices. Then, pull out a set of letters to begin working with. 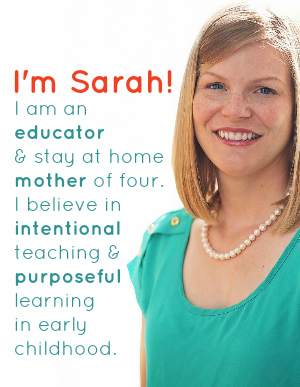 I recommend working with about 3-5 letters at a time to keep things from getting too crazy in the classroom, and to keep preschoolers from getting discouraged. Now invite your preschoolers to come and match the beginning sounds of the magnets with the corresponding letters. Invite the class to put the letters in alphabetical order. You can make this more fun by singing the alphabet song multiple times to discover the alphabet order. 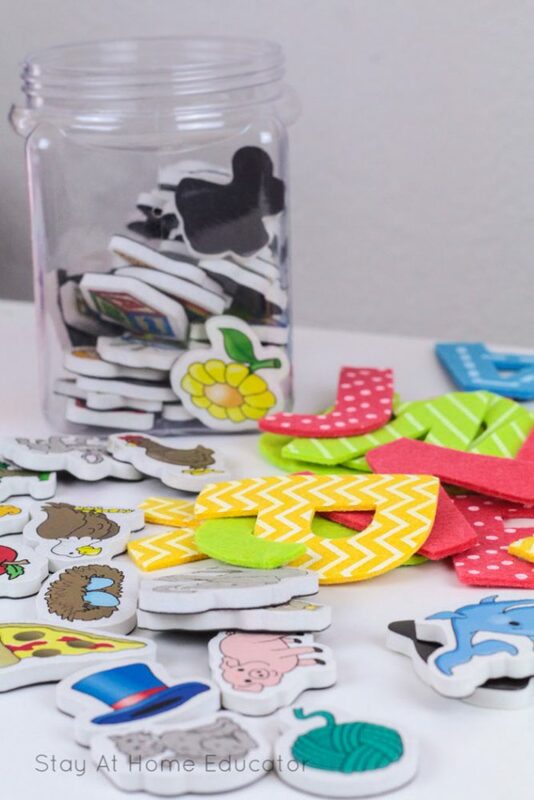 Give the kids a handful of the object magnets to match to the corresponding letter, maybe about 5-10 at a time so they are not overwhelmed by the total amount. As you can see in the picture, there are multiple objects for each letter, a total of sixty objects to sort. Me: What is the name of that picture? Me: What sound do you hear at the beginning of “fish”? Me: Good! What letter makes the /f/ sound? And then the kids will match the magnet with the appropriate letter. Me: That’s correct. It’s a star. Star starts with the /s/ sound. Star begins with the letter s. Can you find letter s? If this is one of the first times your preschooler has worked with lower case letters, their response “Right there!” will only be correct a small portion of the time. When that happens, gently correct the kids and point to the correct letter, telling them of its name. Me: This is S. S says /s/. Star begins with /s/ and the letter s. Can you make the /s/ sound? I know, this is a lot of information for young preschoolers, but I believe that simple exposure can be a very influential way to learn, and you certainly don’t have to go into such detail with every picture and letter, either. One tidbit of advice, though: both the letters and the objects are magnetic, so use a magnetic board. This will help keep them organized and in the correct place. Plus…it makes using magnets crazy fun! To do the entire alphabet took up most of our kitchen table, so a large magnetic board is necessary. That, or do only a portion of the alphabet at a time. I love teaching tools that I can use in multiple activities. So, here are six other ways to use these magnetic pictures and letters! 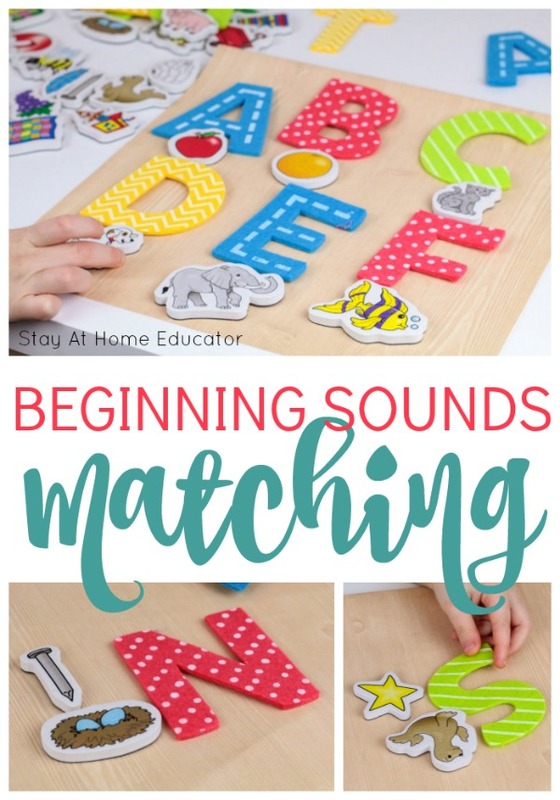 For older preschoolers, challenge them to find the sound tiles that start with the ending sound of the word. 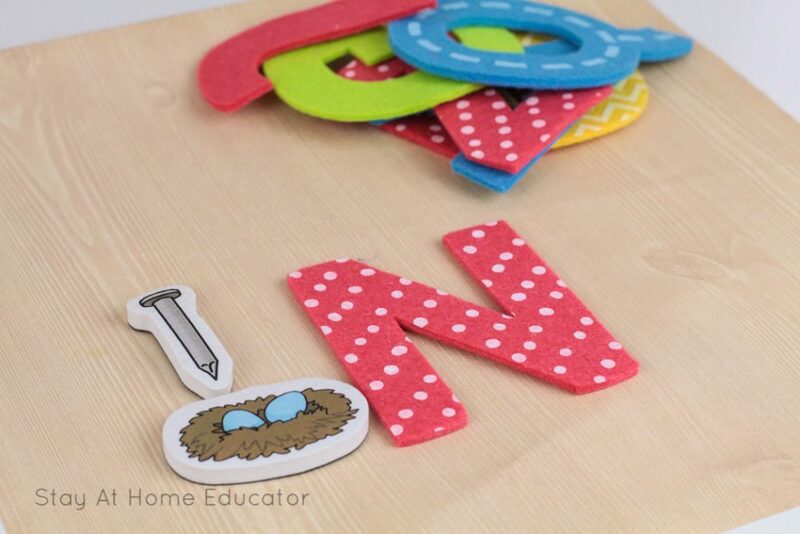 Use the magnetic letters to spell their names. Challenge your preschoolers to find every sound in three-letter words, like cat, hat, and rat. This is a fun way to boost phonics even before formal reading activities start. 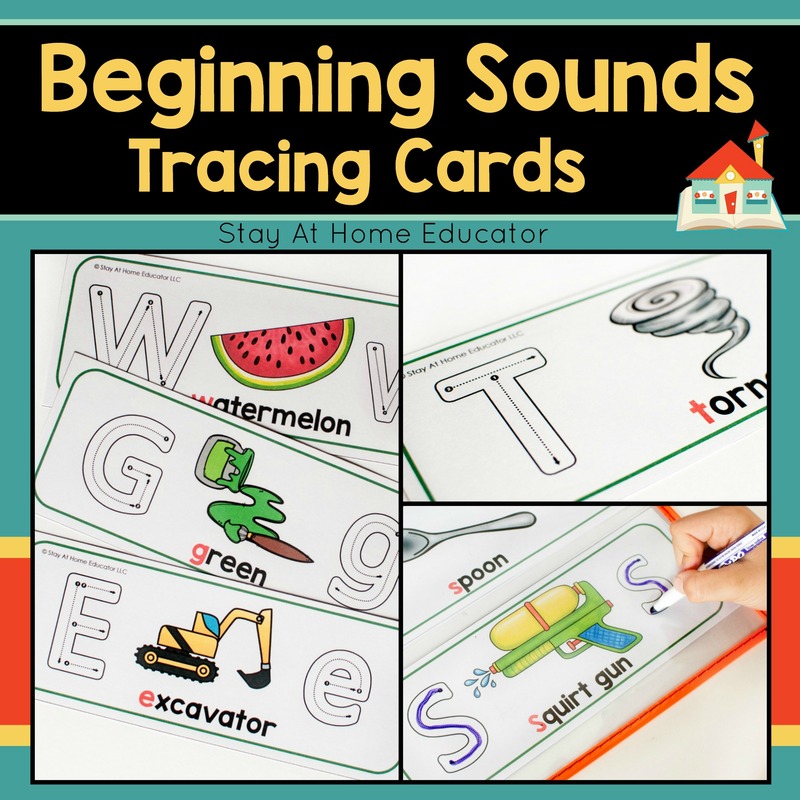 Place a series of picture magnets and letters on the magnetic board, all mixed up and invite your preschooler to put them in the right places. Put everything into an alphabet sensory bin. Keep reading for four more awesome alphabet activities! Looking for Some Hands-on Alphabet Printables? 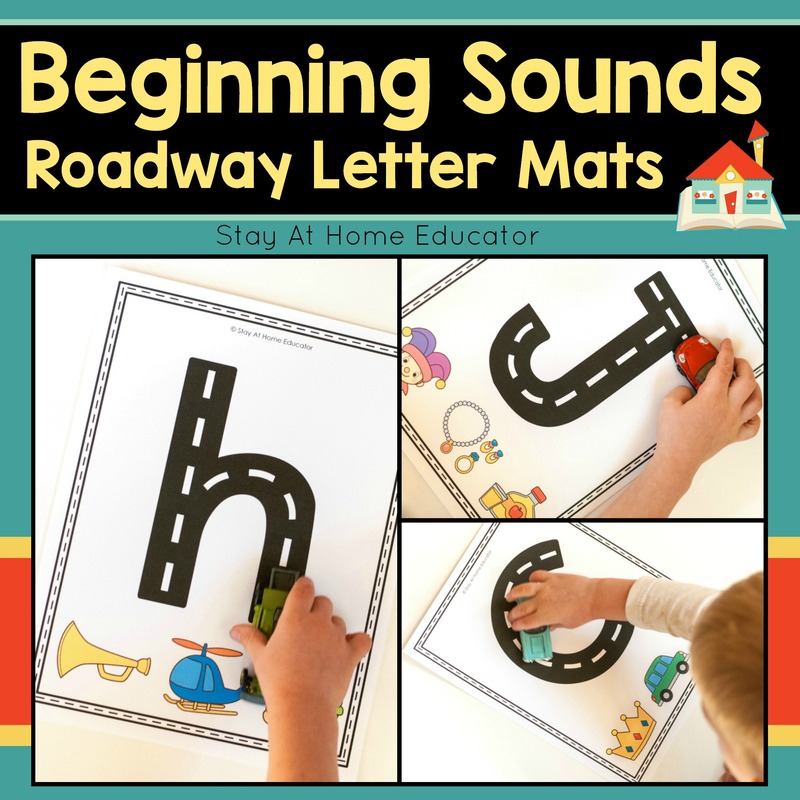 These alphabet printables are designed to allow your preschoolers to move and use their senses while learning letters! Very cute! I think I’m going to set up an initial sound matching tray for my son! I like it. I have the alphabet. Where did you get the other pieces? I got the other magnets from Amazon. There is a link in the post. 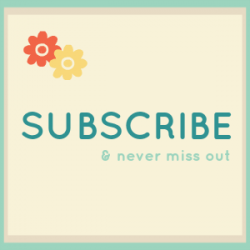 Love your site…got it off of Pinterest. 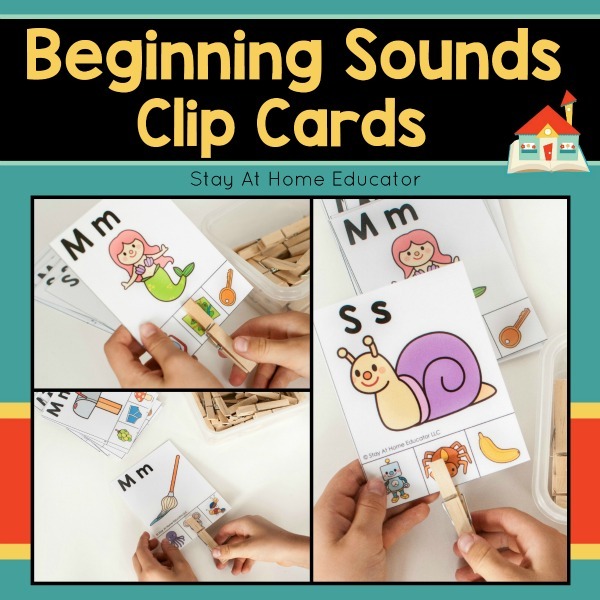 Great activities – I’m a Pre-K teacher 🙂 Just a side note – you can use a cookie sheet for your magnetics…Also, you could purchase a large drip pan – it’s magnetic and you can use this for lots of great activities. I use the cookie sheets for letting my kiddos practice writing their letters in shaving cream – contained areas 🙂 Thanks for your great ideas!